I enjoy exploring ideas about who we are and why we are here, and I'm pretty sure at least one of my kids is a 'crystal child'. I’m not a great supporter of labeling children. Whether it be according to ability, disability, characteristics, or whatever. I was very careful to avoid categorizing and classifying my own children, preferring them to find their own place without being hampered or nailed down by labels. Therefore, I use the terms described here cautiously, and I exhort you to do the same. By all means, if you identify yourself or your child in any of these ways, that’s fine, but be judicious about how you talk to others about it. A few years ago I would have sniggered at the idea that children come in ‘flavors’ like indigo, crystal, and rainbow, but I’ve had reason to change my opinion. Several reasons. We started hearing the term ‘Indigo child’ a decade or so ago. My own mother was convinced that my mercurial-tempered daughter was an indigo. I was equally convinced that she wasn’t. The characteristics of an indigo child didn’t fit her at all. Not only that, having been born in 2001, she was outside of the date parameters for indigo children. So I read a little, dismissed it, and then forgot about it. Fast forward and I’ve been writing about divination, psychic topics, and psychic energy for several years and, during my research, I happened on a site dedicated to star children and light workers. I’d heard of light workers, but never star children. I was intrigued. As I read more, I discovered that star children included indigo children (cue some deep sighing from me), crystal children, and rainbow children. However, when I read the description of a crystal child, I knew instantly that it applied to my girl. I began to look into star children in more detail, and this is what I found. What Is a Star Child? Firstly, it’s important to know that a Star child is no more special than any other child. They are not more or less likely to be successful, or wealthy, or be healthier than their peers. Star children simply display certain characteristics that identify them as such. The colors were originally assigned because of the dominant colors that showed in their auras or energy fields. Indigos show a heavier preponderance of dark blues and purples. Crystal children have a clearer, more transparent aura and Rainbows, as their name suggests, shimmer with varying colors. Star children seem to arrive in waves—it began with the Indigos, or so it is said. I wonder whether it has always occurred and whether we have always had waves of ‘different’ children who have a particular influence or impact on their generation? The Indigos began to have children and these babies also seemed a be a little different—they were identified as Crystal children. Now they are growing up and the third wave arriving now in the first part of the 21st century are the Rainbow children. Star children tend to be outliers, they are leading edge. They push the boundaries of acceptability that were laid down by previous generations. Eventually, their traits and characteristics become the norm. Then the next waves arrives and the boundaries are smashed again. The Indigos first started to appear in the late 1950s, although most were born in the 1960s and 1970s. One thing they often have in common is that their parents were the hippie generation, the first ‘live and let live’ adults. The parents who gave their children more freedom than previous generations. This is why I think that there were ‘waves’ of Star children prior to the Indigos. Each generation paves the way for the next. Indigos are rebels. They are intolerant of unfairness. They smash down the old traditions in favor of no traditions. They are the rockers, the fighters, the protesters, the warriors. Indigos were feminists, anti-war, anti-politics anti-everything. They tore down the old order, tried to break up the establishment, and just caused trouble. Crystal children began to be born around the 1980s to approximately 2010, though some are still being born at this time. There is never really a definitive time for Star Children to be born. They appear where and when they are needed to effect change. The Crystals tend to share a physical trait and that is that many of them have large, luminous eyes that almost seem to gaze into your very being. My own daughter has eyes of an indeterminate color—sometimes they are brown, and at other times they are green with a tinge of indigo. They are deep and mesmerizing. When she was born, people would often remark that she seemed to be an ‘old soul’. Crystals are pure of spirit and very connected to the earth. They are the huggers and the healers. They are in-tune with their own energy. They are teachers and facilitators. They have come to teach compassion, tolerance, patience, and gentleness. As babies, they are very sensitive, which is why they might be mistaken for Indigos. They often hate noise and sensory overload. Sometimes they are ‘late developers’, which just means that they have other means of communication. Occasionally they will be described as being ‘on the spectrum’. Sometimes labeled as being ‘on the spectrum’ because they are so self-contained. Of course every proud mother believes their child is special. And they would be right. However, I'd like to tell you a little about my girl. She was born on September 11th, 2001. Yes, that day. We are in the UK, and far from where the awful events took place. However, from about 6pm GMT, she started crying and she did not stop for 12 hours. No one could comfort her. The medical staff could find nothing wrong. She screamed all night. It was heartbreaking and very, very scary. And then she stopped. And all was well. When she was growing up, she seemed to know her own mind from the very beginning. She hated being out and about. Sure, she'd go out to play, but any family outing was spoiled because she wanted to be home. Home-schooling seemed like a good option for her as school would have been a nightmare for all concerned. Then she discovered music. She immersed herself into it completely. 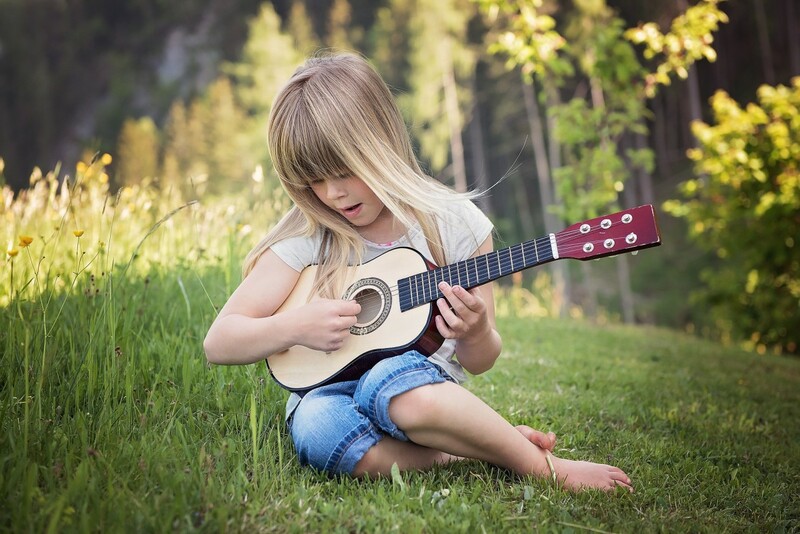 She taught herself guitar, wrote songs and learned tons. So much so that at 15 she was accepted onto a college Level 3 program with no qualifications. Currently, she's finishing up that course and waiting to start university in the fall. She's magical in the sense she can make things happen. She's empathic and can't bear anyone else to hurt emotionally. She's kind, helpful, strong and determined. She's got those eyes. I'm convinced she's a Crystal. Just as we are getting used to the Crystal children, along come the Rainbows. 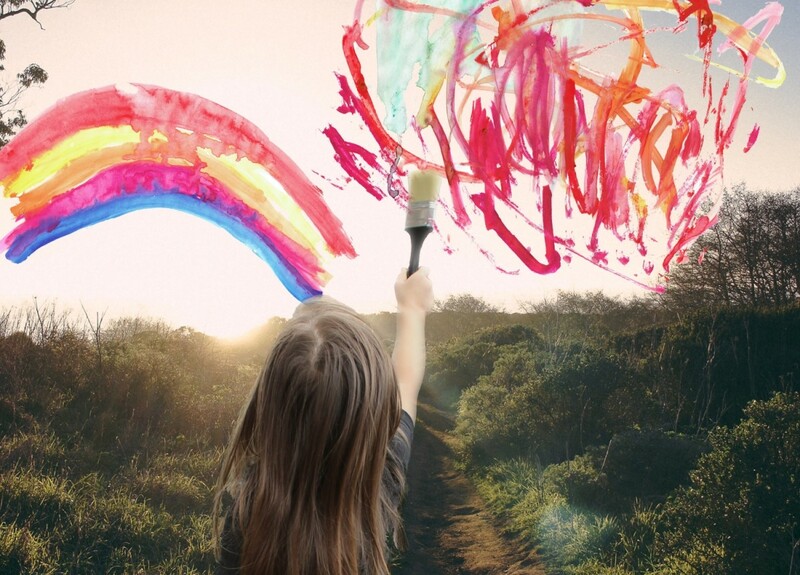 Rainbow children’s mission is to heal and re-balance humanity and the planet. They are able to reflect our distorted values back at us, thus they are revealers of the truth. Rainbow children are usually seen as ‘different’. There are not too many of them around just yet so we will all be getting to know them over the next decade or three. Rainbow children have a higher vibration than the rest of humanity. They will be the ones who bring gender fluidity; refusing to be categorized or contained. We are told that they are ‘new souls’, who have never incarnated previously, yet they arrive almost completely spiritually evolved. Rainbow’s are usually the offspring of Crystals, so they will have at least one parent who ‘gets’ them. However, the rest of society, even Indigos will have difficulty coming to terms with the new world that the Rainbows are ushering in. There will be a lot of resistance to their visions and actions. Don’t care what people think of them. Are you an adult Indigo? Do you have an opinion on these Star children. Is it a ‘thing’ at all? I’d love to hear what you think. I think i'm a crystal child, born in 1997. Musician, singer, intuitive, practising meditation and transfering energy, emotional, have empathy, looooooove animals and children, making lasting friendships, leave crowded places after 2 3 hours, have allergies, Sagittarius, not having patience sometimes, curious. Am I a crystal child? It sounds like you are a perfect example of a crystal child. I believe I am a crystal child. I am definitely an empath. So I feel what others are feeling and sometimes it’s hard to differentiate, I will, for example, be super sad for no reason. Could you give me a tip on how to stay true to myself, as I break myself down to build up others? You can have fun with all this. None of it has to be serious. But it must confer emotional benefits. So start by researching meditation, then look for a simple protection spell or ritual, then see how you go from there. Put a self-care routine in place and you'll be fine. I was born in 1976 but my traits are more in line with a Crystal. I have a couple of Indigo characteristics, but also all the crystal traits listed. Can you be two at once? You may be an outlier. I'm sure there have always been Crystal (or Indigo or Rainbow) children, but they have arrived in greater numbers in waves. Yes you can have the traits of both. I have a child who doesn't fit in. She is strong-willed and she has a very good connection with animals. She is loving and would do anything for anybody she knows (even if she hates them). She is an introvert. What do you think my daughter could be of rainbow, crystal, or indigo children? I can refer to both Crystal and Indigo. It confuses me. What does this mean? No doubt there will be people with overlapping traits. Remember these are guidelines and theories. It's not set in concrete. I am an Indigo. I have two daughters and a son. My daughters were born in 2009 and 2016. My son was born in 2012. My eldest has difficulty fitting in. At the age of three, she spoke like an adult. She is talented as a musician, linguist, artist and is already an activist for human rights. My youngest, although not yet three, is also wise beyond her years; fearless and stubborn. My boy is a sensitive soul; shy and his own worst critic.. Which categories do you think they fall into? Your daughters both sound like versions of Crystal. You will probably have to wait a couple of years before being able to know which your son falls into. Remember that not all children fit these limited categories, and there are even more coming along. Is it significant that I feel connected to Indigos but tests prove me to be Crystal child? Tests? I expect you mean psychological or personality tests. What do you think? Are you attracted to Indigos? 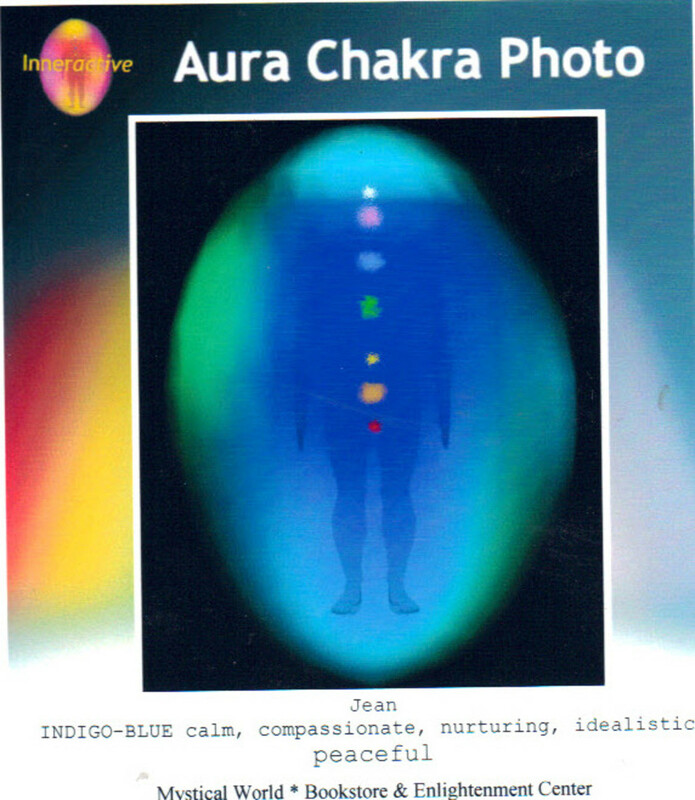 Or you feel aligned with the Indigo character? I don't think it means anything much other than you recognize the attributes of Indigos. Don't worry about it; just be yourself. I think I’m an indigo baby. Is it possible that my son is a crystal and my daughter a rainbow baby, because we each fit the description very much? Also, if we all are, what does it mean? Yes, if you fit the descriptions, you are very likely to be indigo, crystal, and rainbow. I think people 'arrive' in clusters like this, and tend to gather in certain sectors, such as universities, locales and anywhere else where people get together with common goals. So it seems to be a logical extension that it would happen in families. What it means is that these waves of people are gradually changing the world by expressing new ideas, new concepts, and new perspectives. I think my daughter might be an indigo child. Is this possible if she was born in the 2000s? Yes, it's possible your daughter is an Indigo. The years given are just rough guidelines. What abilities do crystal children have? Crystal children have heightened intuition, and as they grow up, they can choose to develop their psychic skills (or not). As far as other abilities go, it depends on their upbringing, their motivation, aptitude, and attitude. They can achieve anything they put their mind to. Crystal children will probably change career paths several times during their working life. This is simply because their priorities and viewpoints are always shifting. My daughter is a Crystal, while I'm a mix of Indigo and Crystal. My three-year-old son is a rainbow; charming and irresistible, yet he seems to be aggressive when he gets frustrated. He can change the general mood quickly. Do you have any advice for our family? I would put aside the idea of Crystals, Indigos, etc. and get some strategies in place for dealing with your son's aggressive behavior. If you don't deal with it now, you aren't going to be able to cope with it when he's fourteen. I believe I am a crystal child. I have always felt I was born before my time as my intuition, sensitivity, and psychic abilities are very strong. Hence the world seemed overwhelming at times. Fast forward and I have two daughters; one I believe to be rainbow for sure. However, I struggle with my other daughter. My question is, is it possible that I could have an indigo child? I'm an Indigo and on the 11th of this month, I got a niece. She already has big eyes always open and is very communicative. How can I be sure she is a Rainbow? You can't be sure yet. Why not wait and see? The thing is, if you believe she is a Rainbow, you'll always be looking for signs that she is one... and Law of Attraction will ensure that you see those signs, whether she is or isn't. Is it terribly important to you? Just let her be who she is going to be and put all that wondering to one side for now. Enjoy your new baby niece. I feel emotions very deeply. I've always been told I'm too sensitive. I often feel different and as if I belong in another world. Why is this? Perhaps you are a star child - which one resonates most with you? Is it possible that an Indigo who had their first child in their late 30's could have a child that is a Rainbow, skipping the Crystal generation? I'm sure it's very possible. Remember that these 'categories' are based on ideas and observations of shared traits and characteristics. There are no clear lines. This spoke to me very much. I have always loved rainbows, felt "young" but called "wise" by many. I recently found out that I deeply identify as bi-gender. I was born in the 1980s but identify more with the rainbow than crystal child. My parents took me to the doctor because I was so late to start speaking, it was around 3 or 4 years of age. Do you think I am a rainbow child? Is it possible for an Indigo and a Crystal to birth a Rainbow child? I was born in 1981 to two "hippie" parents. I fit 96% of the characteristics of an Indigo Child. My girlfriend was born in 1990 and displays the characteristics of a Crystal Child. We have a daughter who was born last year, she displays all the characteristics of a Rainbow Child. Just wondering if its possible? Everything except allergies is true to me, but I was born in the 70s and wouldn't say my parents were indigos. So I feel often like I've fallen out of the world. I have much younger friends, some from the 80s and even 90s. Does that make any sense? There will always be individuals who feel as though they were born in the wrong time, and maybe in the wrong circumstances. The trick is to find the best way to express yourself, whether it be art, writing, journaling or some other creative outlet. What are your thoughts on "cusp" children? I was born in 86 and have indigo traits, but a lot more crystal traits. Almost everything you listed, actually, but still have the need to stand up and rebel against what is wrong with our societal structure. I think there are many who share the traits of two or three of the 'stars' listed above. You 80s children have the power right now, so do what you must do. Can a rainbow child be musical? Of course. You have to understand that these observations aren't 'rules'. There are no hard lines involved. It's all flowing and amorphous. We just use the terms, indigo, crystal, and rainbow to describe the characteristics of the unusually frequent number of children who display them. Don't fall for the idea of labels. Can someone be a mix of both rainbow and crystal? Absolutely. You have to remember that these aren't cut and dried labels or categories. We only use these words to distinguish characteristics. So yes, it's possible to have characteristics that range over two groups. I was born in 1957, have been diagnosed as ADHD, and fill most indigo qualities, but illness has stood in the way of my ability to accomplish all the idealistic goals I've had. I am wondering along with some research I've seen if these are in part evolutionary changes? I think that is exactly the case. These groups come in waves and because of their numbers they manage to change attitudes and policies. Then the next wave comes and things change again. I have no doubt that there are physical changes as well. It's plain to see that people are getting taller. Interesting. Is it possible to be a Crystal and Rainbow child? My friend and I show most of the traits of both, but she was born in 2004 and me in 2005. It may well be possible. The year of birth doesn't really matter, they are just guidelines. I was born in 2004 and I show more signs of a Crystal Child. I love animals, children, music. I am clairvoyant and an empath. I have allergies, hate crowded places and stuff like that. Even because of my birth year, can I still be a Crystal Child? Of course. I have mentioned several times in the questions and comments that these are mere observations. There are no definitive lines between the various star children. It's impossible to pin down. Just see the given categories as guidelines that are as fluid and individual as the people they describe. I think I'm a Crystal Child and, before I even read the line that they are usually born to Indigos, I knew my mother must be an Indigo! I often bump heads with rainbow children, in the strangest ways, it's weird; specific people come to mind. I can't explain it but this makes a lot of sense. Is that something that you hear often? Not really, I haven't heard of clashes because both Crystals and Rainbows are tolerant and peace-loving. Now Indigos, they'll clash with anyone. I always thought I was an indigo child but I was born in 1994 and the star sounds a lot like me too. Plus neither of my parents are indigo. I’m a very strong empath with severe depression and anxiety, bi/genderfluid, and can easily communicate with animals, which one am I? You don't have to be any of those. They really are just loose categories, and no-one has to put themselves into a category or give themselves a label. If I had to choose one for you, it would be crystal. It depends on how many other crystal characteristics you align with. Or, you might be in a class of your own. 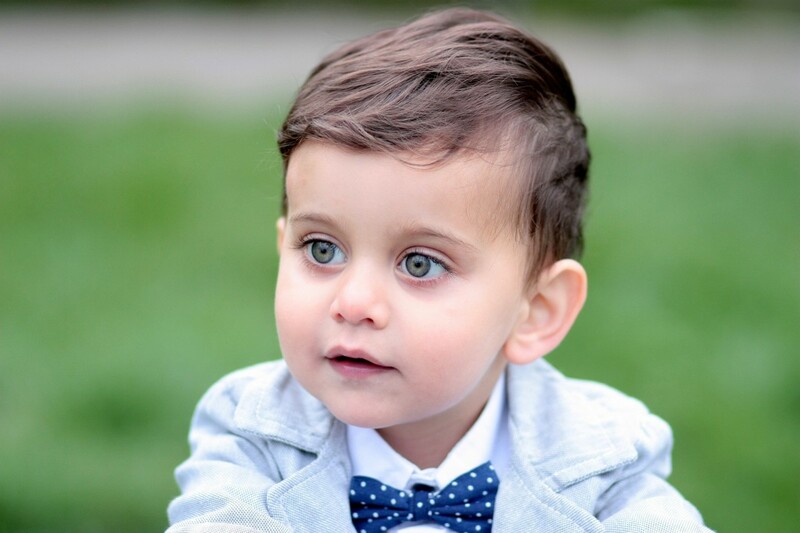 My son has soulful eyes and something about him that makes it impossible not to like him. He is brilliant, making A's year long, but is on the high-end of the spectrum; not talking until three, but reading before two years. Could he be a crystal child? I'm sure he is, but time will tell. Crystal children are very likable; there's something irresistible about them. They wear vulnerability like a cloak of goodness, yet at the same time, they have a core of steel. He'll make you proud. I think I am a crossover between an indigo and a crystal child. I have both qualities, born in 78, and feel that the kids born in 78-82/3 are crossovers in many aspects. What do you think? Yes, it's likely. Please remember that the qualities described have been split up just to help differentiate between the 'waves.' So it makes sense that there will be people who have a little of this and a little of that. I believe my mother is an indigo child and I am a crystal child, but my sister who was born in 1996 is more of a mix between us. Is that possible? Also, why is it only women in my family I am able to identify? Yes, it's possible that your sister is a mix. And perhaps it is only women in your family who show these characteristics. There's no reason; that's just how it is. I think I'm a crystal child, but I don't want to be one. How can I resist it? That's a little like saying you don't want to be who you are. If you have those characteristics, celebrate. However, you don't have to give yourself any label. Just be yourself. I know that Indigo children were born before the 1990s but I was born in 1996 and share many of the traits of an adult Indigo. I researched Indigo children when I was much younger. Is it possible I'm an adult Indigo or a Crystal child? My nana always told me I was a Crystal child because my mom is an Indigo and I can also see the dead and speak to the dead. When I look into people's eyes to see their emotions they tell me my eyes start swirling with different colors. I like to help people when they need it. Am I a Crystal child? I have some characteristics of each one of these. What does that make me? It makes you, YOU; your own unique identity for which you don't need a label. I'm am a rainbow child and am very happy, but I love crafting and art. Is that normal? Of course, it's normal. Art can change the way people think. Never stop expressing yourself and your ideas in whatever way feels right to you. I'm a lightworker, and my son was born in 1990. He is definitely an indigo child. Shouldn't we be more aware of the timelines for their incarnations? It isn't possible because there's no quantifiable scientific data. These descriptions are based on subjective descriptions of personality and behavior. There are no hard and fast guidelines regarding birthdates for each wave of star children. There will always be those who seem born out of time. It's just the way things are. I think I'm an indigo child. I was born in 1968, and I feel I fit the description. My son was born in 1992. Can he be an indigo child too? Yes, although these star children come in waves, there will always be those born outside of those times. I think it's a kind of balancing thing. If the world were full of Rainbows and no other types, we'd be in trouble. So we have a bunch of those who aren't star children, who are firmly rooted in the here and now. We also have star children who aren't in the current wave--they also have influence over the planet. Checks and balances. Is it possible to be all of them (Indigo, Crystal, and Rainbow children)? I was born in 1987 but I actually feel all of these and can relate to everything on each. I'm a lost soul! No you aren't. You're a unique and inspiring individual. Throw away the idea of a label. Am I a Crystal child? Born in 1989, Sagittarius, gay, married to my husband, teacher with passion, light sleeper, sleep 5 hours a day. I am very sensitive to music and can play by ear, short-tempered, can make very strong mathematical predictions. If you think you are a Crystal, then you are. It sounds like that to me. May I use this information with my own research on my website? You can rewrite any information in your own words, but please don't reproduce my writing as we will both be penalized for having duplicate content and I will have to issue your web host with a DMCA (take-down notice). My brother is an Indigo. What does that make me? It makes you the sibling of an Indigo. Seriously, it makes no difference to you other than, at least, you know why he thinks, feels and acts the way he does. It's very possible if you have children that some Starchild traits will be passed to them. What makes you say crystals are gay or bi? I didn't. I said they 'may' be. It's because many people of this generation don't let gender get in the way of love. They fall in love with whomever they fall in love with. How definite is the info about the Rainbow kids not having ever incarnated before? My youngest is Rainbow to a T, but has detailed past life memories. Nothing is definite. It was a theory I came across while researching. Personally, I don't think anything about these classifications can be stated as fact as it's all subjective opinion and observation. There have been no scientific tests, studies, or investigations that I know of. We are currently seeing a wave of Rainbow Children. There are differing opinions what the next wave will be called. What are the new babies coming through now please. Hello, thanks a lot your article is very informative, so far, from my research am more of the Crystal adult. Born on the 11 of January 1972. Thanks again. My mother is definitely an indigo child, and I'm a crystal child. She gets dreams that come true, she dreamt about 9/11 and thought it was just a nightmare. Then it happened and my entire family looked at her in disbelief. Indigo child describes her perfectly. Crystal child is literally me to a T.
I think I am a Rainbow child, and I think that it makes sense, especially since my mom is definitely a Crystal child. You have given me a lot to think about. My daughter was born in 1999 and she fits the description of an Indigo Child. But I was born in 1962 and the Crystal describes me. That can't be right, Can it? Remember that there is no hard, definite line between these classifications. They are only suggestions. It is strange to say, but i am an INFJ personality type. The reason why i mention that is because my personality has every characteristic of Indigo, Christal, and Rainbow star children. Im intelligent with and IQ of 148, my dad had an IQ of 152. I am 26 years old. I am an empath, intuitive, i can figure out peoples souls from looking in their eyes. I can tell people whether or not something will happen, and it happens like i say it. Nobody has ever understood me my entire life, not even family, except my dad. Everything about me is rare, there is only 1% of humanity that is like me. How can it be possible that i fall under all of them? I really enjoyed this informative article and I'm going to bookmark this to keep for future reference. Golden children. Next stage. But forerunner, star child, Golden God. Logos. He sounds very much like a rainbow, Jean. There are always outliers and those who aren't part of the 'wave'. My son was born in 1987, and should be a Crystal child by the definitions. Just being born and living in this house, he had to be Star child! But he never felt like a Gen Y person, he grew up on Classic Rock, and embraced many likes that were mine and his Dad's. He believes he's a Gen Xer, even though he's younger. I read your excellent descriptions though, and feel he fits in your Rainbow category. It's so hard. He's strong willed, doesn't care what people think of him. He's patient as a Saint, has some gender fluid stuff going on. He's a karate instructor, loves kids, and all the stuff fits, except he spoke in sentences by a year and a half old. He's also a triple Scorpio. I believe there's something to this Star Child thing. I was born in 1955. So was his Dad. Yes thank you. The label wasnt really what i wanted. I just want to know how to identify myself clearly. I do have a mission on earth.you are very understanding. My parents arnt as much. My dad does tell me to stop bieng weird. You are unique, Helena, that's what you are. Don't ever try to put yourself into a category or give yourself a label. Hey mam i am 12 and i feel different i dont relly know if i should be in a catagory or not but i felt things ever since i was a baby and saw things. I had visions. I paint them on canvases with god. I lovd music. The public really gets me in the gut hard to say something though. Am i something? You are very welcome, Rachael. You are in the lucky position of being able to work with these children and witness the beauty of their growing up. My own Crystal amazes me more and more every day. I think you may have just given me a lightbulb moment, I have spent a few years in the belief that I was meant to help Indigo children, after reading your article I believe now that I was being told I was an Indigo child, I believe I have at least 2 crystal children and I also work as SEN support in schools. Maybe this will clear some things up for me, thank you! You always write such interesting and thought provoking articles. At this stage of my life and as beautifully young/old I am... I don't know which child group I belong to. I feel like a Walk-In ? Searching ALL my life! I'm a dedicated Educator! 40 Wonderful Years! Hi Crystal, I think the thing we all need to understand is that these are not classifications that are set in stone. See the idea of Indigos, Crystals and Rainbows as waves of people who have the capacity to change the world with their individual gifts. So it's not really important to know if you are one, or, indeed, which 'category' you fall into. What's important is what you do with your life. What unique gifts can you share? What small things can you change? What will be the legacy you, and people like you, bestow on the planet? I hope, beyond hope, that you will do better than we have done. I so enjoyed this hub. Well put together, and very informative. I learned a lot in a short read. Thank you for covering this subject. Wow, one of the best I've read about star children. I've always known I was a Crystal, born in 85. Always had a feeling I was different (also a Libra) I have a 2 year old and every person (at daycare, in our family, friends etc) tells me how she is so much different from other 2 year olds & talks about her beaitiful eyes and her energy. Nixie-my daughter- wakes up in her crib at night crying when I am in the mid of a nightmare. It's so crazy I haven't even told anyone. I know she can feel my feelings. Star children are a gift to the world, this I believe. I’ve been doing my research lately and after reading this I’ve come to the decision that I’m a Rainbow child. At first it was weird to see how many qualities match up with my own and I am kinda excited to get to know more about this whole new open world of knowledge! There's definitely something going on with these children, isn't there? While I'm not overly keen on the new-age labels, they are the only ones that people recognise so I had to go along with it. I shall be taking a close look at my 4 yr old grandson when he and his parents visit from Australia this summer. Haven't seen him for a year. He had some delayed milestones too, yet is as bright as a button. Love this hub Bev. So true. Children or adults so many of us are different. I always felt, especially as a child that I was different, did not fit in, especially not within my family. Like I was a visitor from some other planet. Still feel like that sometimes but now I am happy within myself. Sorry you are disappointed, Harmony. I'm pretty sure that not all autistic/ADHD children are crystal, and not all crystals are autistic/ADHD. You'll notice that I was cautious in my use of the terms and only included them as 'possibles'. My daughter is neither autistic or ADHD, so I disagree that these traits are typical of those on the autistic spectrum. You aren't disabled, by the way. You don't need to carry that label around with you. I've spent the past while reading about crystal children, and based on all these lists of traits that I've seen, I'm sure anyone who believes in the concept would say I am one. I think the concept is ridiculous. It's just typical traits of autistic and/or ADHD kids wrapped in New Age language. I'm not special. I'm disabled. I see people argue that crystal children are "misdiagnosed" with autism, but I'm involved in autistic communities and feel pretty confident in saying that there's no mistakes involved. Autism is a spectrum. Not all of us present stereotypically. Hi Anu, why don't you wait and see if it happens again? Perhaps it's something she must discover for herself? This is one of the best articles I've read on this topic. I am an Indigo. I am strong willed, fight peacefully for causes I believe in, and am psychic and creative. Some of my friends call me "one of the last hippies." I can see from you that my son is a crystal. We live on a quiet, one lane road. When I used to take him out, the noise and over stimulation would overwhelm him so much I had to take him away from the situation. He's musical, and always has a band. Also very creative, and needs his solitude. He often has people come to him for advice, and loves the water. As an Indigo, I was fortunate to have very liberal parents! Aha thank you so much! Hi Stephen, as I said to another commenter, the actual year of birth means nothing. It's just when the numbers are enough to be noticed. I'm pretty sure that star children have been 'appearing' for centuries. Keep on with the mission, and good luck! Hey! I'm a Rainbow scout (8 years early from the main first burst). I just wanted to say thank you for this wonderful information, as it helped me come to terms with it. I triple checked that it's true, and I will continue to check any way I can, because 8 years early, really? Someone read my aura and confirmed I'm Rainbow. Also I used a little bit of clairvoyance and claircognizance to get an answer, and again it confirmed. My mission is coming along really nicely anyways. Not even 2 years into awakening and I've got many tangible ways of ushering in love, peace and consciousness into the general population. Still building, but if I keep building, it can only work! Your son could absolutely be an Indigo. The year of birth guidelines are fairly arbitrary. There are no 'rules' regarding these star personalities. We use the years to explain the waves of births, however there will always be those outliers who seem to be born 'out of time'. Your son may 'switch' later, or he may not. Thank you for writing this enlightening article.....I feel quite emotional reading it. I am sure I am an Indigo adult, although after an extremely difficult life have completely lost myself and my messages and life purpose have become trapped inside. It's so frustrating. I am extremely creative but my gift is being lost and I don't know how to use it for good anymore. As Kj said which sums it up completely, I have lost touch with my spiritual destiny too. I just wanted to ask if my son could still be an Indigo having been born in 2000,as he really fits the profile.....definately a warrior,very strong willed and stubborn,detests authority and an ambassador for justice, but very sensitive too with high anxiety in authoritarian situations.....also diagnosed with the dreaded ADHD with traits of ASD. I think my youngest son is a crystal child......the most sensitive,artistic,kind,quiet boy who didn't speak until age 3. This is all so interesting. Thank you for taking the time to read and comment, Ina. I hope your journey is sweet and fulfilling. Hi I Ithink I’m an indigo transitioning to an Octarine/crystal. I feel like my tasks have changed. I had a warrior spirit earlier but lost all the stubbornness. I’m a leader now where they need me. I didn’t ask for it but it just happens. I like your page. Thanks for sharing it. More people should know who they are and what they came for. How about the silicon child? Preoccupied with technology and who lacks terribly in social skills. Is it possible to be an indigo, but grow to be a crystal? I was an indigo as a child, and I still am at heart. Now however, I have more in common with the crystal. Yes! Me too. Mike Dooley says we come for the adventure and the quest to remember/discover who we really are... and we are not just these bodies. I like to think we are like the nib of a pen tracing across the paper of our lives. Experiencing for the expansion of The All. HNY. I also believe we are originally energy (our soul as you were), and that when this shell we’re stuck in dies, we return to our glorious energetic state. No longer static and only able to occupy one place but able to be anywhere, anytime, we want. I do not understand why we decided we needed this corporal experience, and definitely do not understand doing it more than once, but here we are. They say we use less than 20% of our brain, I think that’s because the closer we get to using more is the closer we get to being pure thought/energy. I think I understand, it seems that regardless of our individual differences or kind of light worker you are, we all are here to change humanity for the better. And like you've mentioned, that doesn't make star children better than the norm. In fact, I believe we all need each other, what other reason why we all would all be on the same planet? Hi Melly, the thing to remember is these a re simply labels to help us understand the characteristics of these new generations. Sure you can be a mix of two or more. Everyone is unique. I'm pretty sure my daughter is Crystal. She was born in 2001 and was also a law unto herself and very 'spirited'. Like you, she calmed down as she grew older and found her musicality. I'm not sure what would I fall under; I have some characteristic as a Crystal child; being born in the 2000's, not talking until I was 3, being through many telepathic and psychic experiences and allergies but I'm also a lot like an Indigo because every since I was a small child I was rebellious and hard to discipline (I've calmed down of course, but I'm still pretty stubborn) and very creative with enrich imagination. And I've always been an odd ball among my peers and family members. Is there a possibility to be both? Ehh, experience with people who have ASD can be confusing. I for one have known I've had it since I was 4, my mother knew since I was 1, some don't know untill they are 14-18-22. Many can be extreamly rude, but for rare few who have known, they do tend to be kind, and watch what they say, like a hawk. To get a true feel for the whole ASD field would take a life time, due to all the interesting little quirks, and such, and the stark contrast in personalities can be very confusing. I didn't forget, Oogbar, I just thought it would be inappropriate, especially as I have no expertise in that field. I've actually read something pretty close to this, and I've always felt trapped between "first generation Indigo" and "second generation Indigo/Crystal child". My father, unfortunately is an indigo, and I've shed some painful light for him, on his own father... they have not talked to each other in 4 years now. You also forgot to add in the Asperger's spectrum disorder (Asperger's syndrome for those who heard of it in the 80's-90's) as a potential trait... but aside from that, things seem spot on. I agree, Madgrench. Humans have been renaming and reassessing all kinds of different things throughout time. Classifying ourselves is more of the same. This is the first time I read about this topic. I'm open minded, so I don't say they don't exist, but I think I've never met one of them. But, it seems logic to me. They are born in times of change, and they bring change to the world. I like that. It's fascinating the part about the part that says that rainbow children are new souls who never reincarneted. Is that a thing? I've always thought that souls are the same since the beginning of time. Is it possible to new souls to be born?